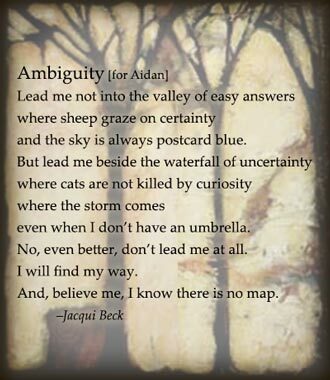 Jacqui Beck, a professional artist and art educator, interviewed 8 gender-variant people and has transformed their stories into paintings and poems. As the mother of a transgender son, Jacqui has a personal connection with this work. This work has been exhibited in galleries with interactive installation pieces that inform and invite viewers to explore their own gender experience. It was presented as a workshop at a major social justice conference—Gender Odyssey—examining the dimensions of gender, and for Women Painters of Washington, with a focus on art for social change. We look forward to future presentations of this project. The Gender Personal presentation includes the playing of interview excerpts, exhibition of paintings (live and via slideshow), and the reading of poems that celebrate the stories these people have shared. This is followed by a discussion between the artist and attendees about the interviews, art, and poetry. This format benefits not only the gender-variant community but also the community-at-large, by opening hearts and minds to the natural place of gender variance in human experience.